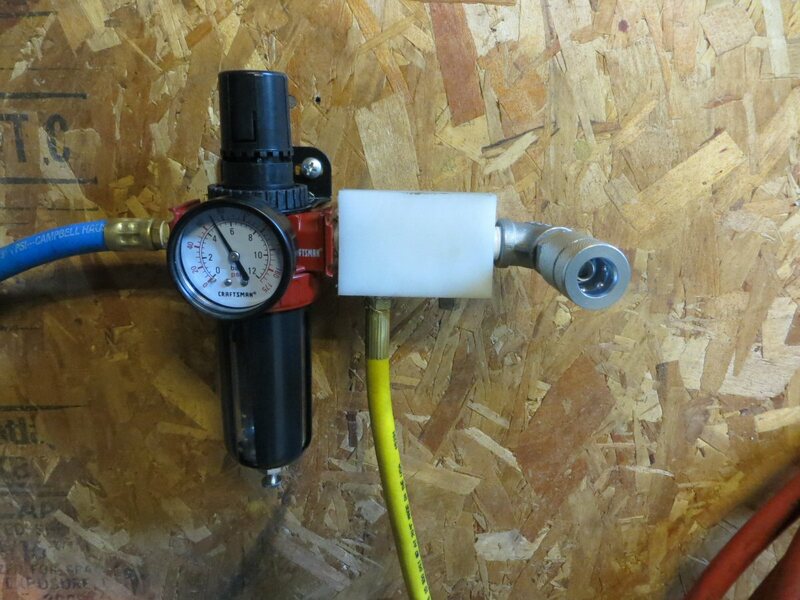 I had a piece of UHMW laying around and thought I would try to make an air manifold for the workshop. I did not know if the UHMW (ultra high molecular weight, in case you were wondering) plastic would be strong enough to thread and be air tight…but it was worth a try because I didnt have a block of auminum or steel to use. 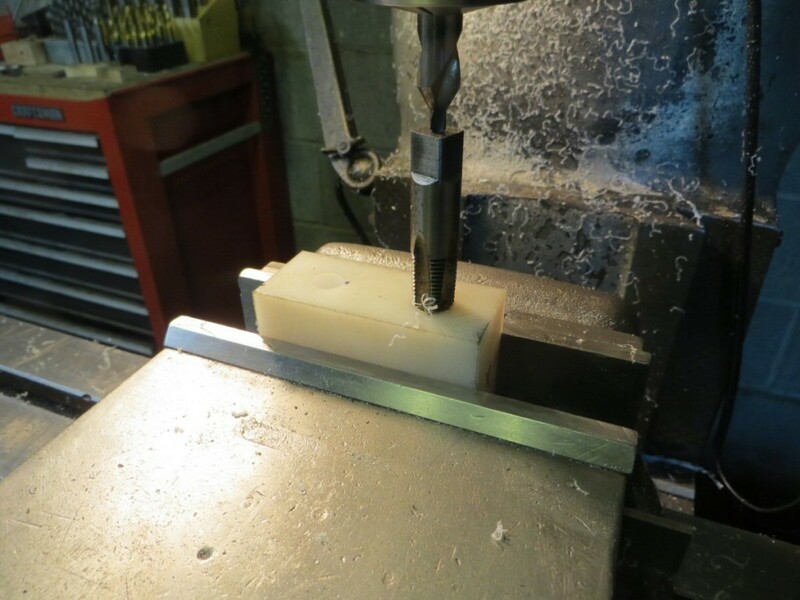 Using the Bridgeport Mill, I drilled and tapped several holes for the inlet and outlets. The holes all met in the center, allowing air in to be distributed to the other holes.